China has every reason to seek a deal now, considering that Beijing is surrounded by domestic challenges and troubles. On January 9, U.S. and Chinese officials wrapped up three-day trade talks in Beijing — one day longer than had been previously announced. Many analysts believed that the extension of the trade talks was a good sign, showing that both sides were willing to make the negotiations work. Yet in the follow-up statements, the tone used by each side was slightly different. The U.S. statement was much longer than China’s. But as Janis Mackey Frayer, a correspondent with NBC News in Asia, pointed out on her Twitter account, the U.S. side didn’t use “a single word to describe the talks — like, ‘constructive’ or ‘frank’ — or hint that any progress was made toward settling differences.” Instead, the U.S. statement detailed what the delegations discussed in the talks, including “ways to achieve fairness, reciprocity, and balance in trade relations” between the two countries, “the need for any agreement to provide for complete implementation subject to ongoing verification and effective enforcement,” resolving “needed structural changes in China,” and “China’s pledge to purchase a substantial amount” of U.S. goods, products and services. In comparison, none of these specific items were mentioned in China’s statement, issued by China’s Commerce Ministry on January 10. Both sides actively implemented the important agreement of the heads of both countries, and held broad, deep, and meticulous discussions on shared observations on trade issues and structural problems, laying the foundation for addressing areas of common concern. Both sides agreed to continue to keep in close contact. In addition, China pointed out again that the trade talks were held at “a vice-ministerial level,” even though it has been widely reported that Liu He, the Chinese vice premier in charge of trade talks with Washington, stopped by the negotiating room and said hello to the U.S. delegation. His appearance — which could never have happened without careful calculation, considering China’s extremely strict bureaucracy — also indicated that Beijing highly valued the opportunity, and seems much more eager to reach an agreement with Washington than the other way round. In fact, Beijing has every reason to seek a deal with Washington now. Domestically, Beijing is surrounded by multiple challenges and troubles: The economy is slowing; many private companies are closing; the conflict between different classes within the nation is growing. 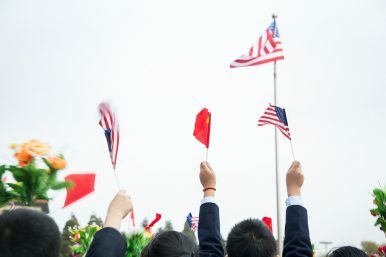 Most importantly, this year marks a series of sensitive anniversaries — for example, the 30th anniversary of the crackdown on the 1989 Tiananmen Square protests. Beijing is extremely worried that a national crisis could take place at these critical moments this year. Against that backdrop, Beijing has to try its best to focus its attention on those domestic issues — or to use the government’s preferred phrase, on “stability maintenance” — rather than a trade war with Washington. That makes China ready for a deal, providing of course that Washington’s demands won’t undermine Beijing’s fundamental control over the whole state. Finally, the U.S. and China’s top trade officials will meet for direct talks. By examining the underlying assumptions, it’s clear a rethink of Philippine China policies is needed.